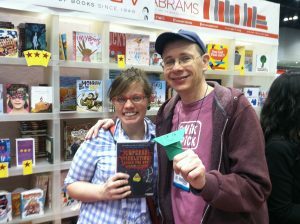 Have you read Origami Yoda? Or perhaps Inspector Flytrap? Join ALD in celebrating the author of these incredible books, Tom Angleberger! Tom Angleberger's favorite Star Wars character is Yoda. Tom's first Star Wars figure was C3PO. If you've never read Tom's books or need to know what else is out there, here are some great choices!